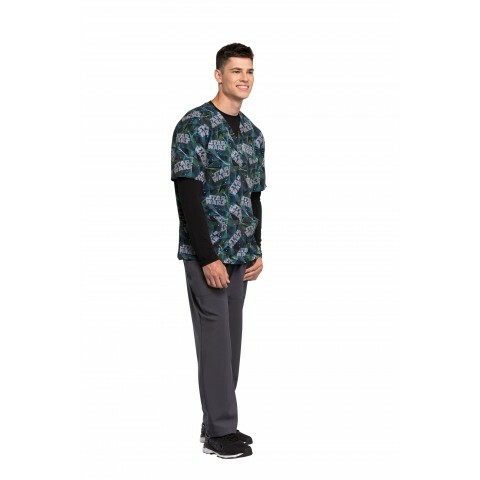 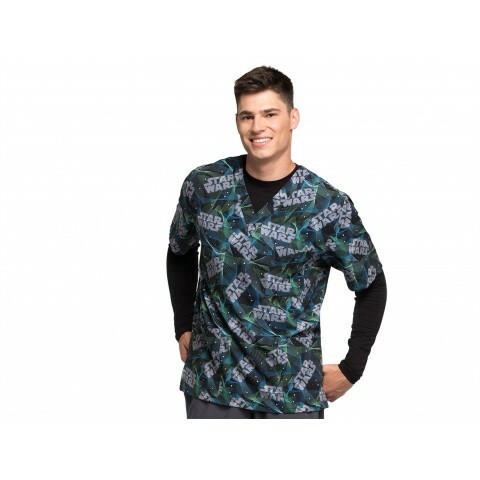 The TF701 Star Wars Scrub Top was designed by Cherokee Uniforms for their Tooniforms scrubs collection, which is a popular nursing scrub line with printed scrubs that feature various fun Disney characters. 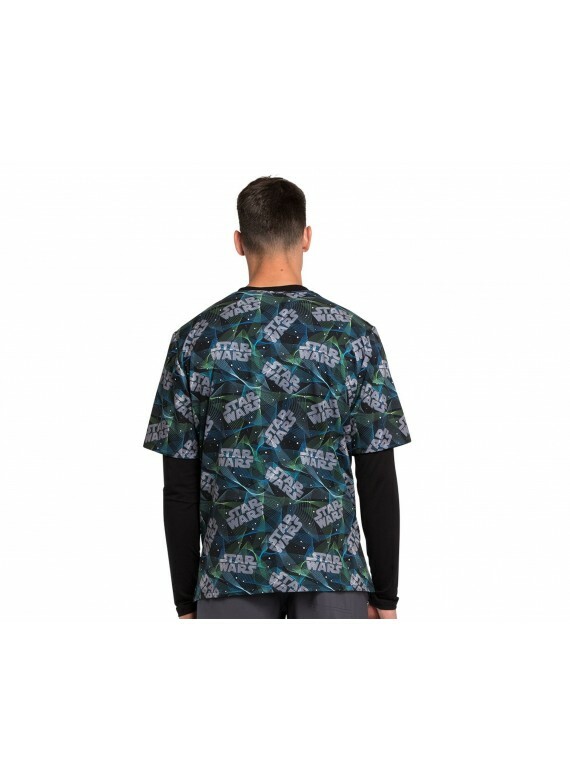 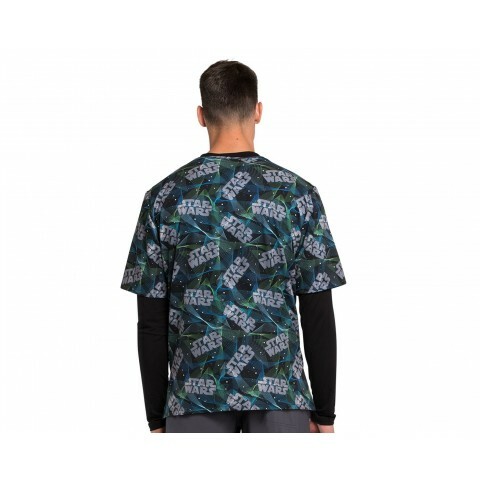 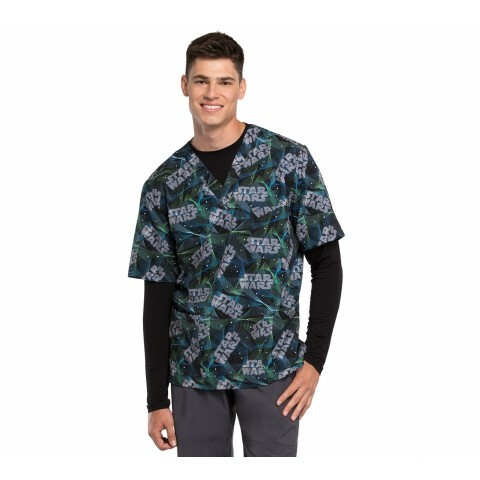 This particular scrub top, with its popular star wars design, was created for male professionals with personality, is wonderfully functional and durable, and is really cool, besides. 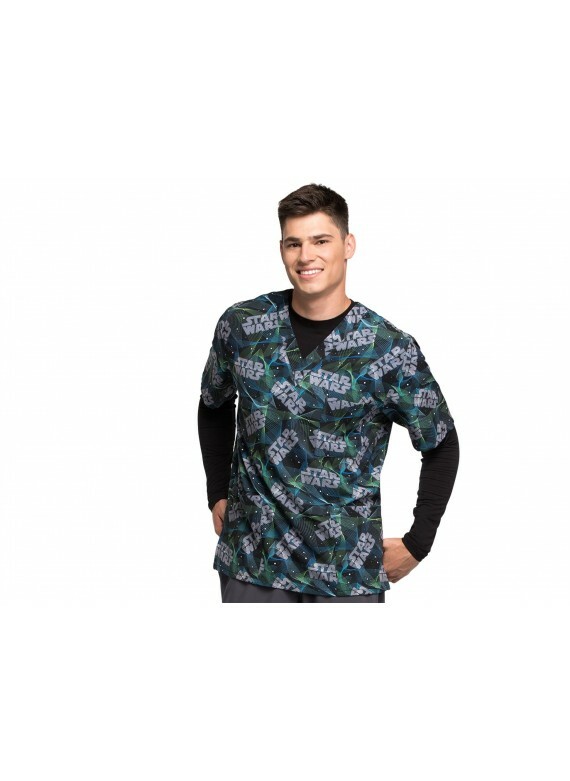 Kids love it, and adults do, too. 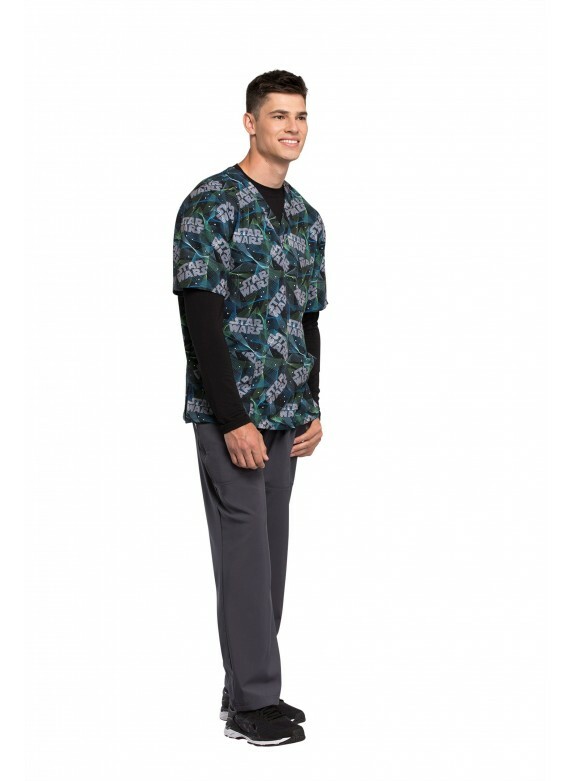 It boasts a comfortable unisex fit that suits men nicely, and convenient features like side vents and pockets. 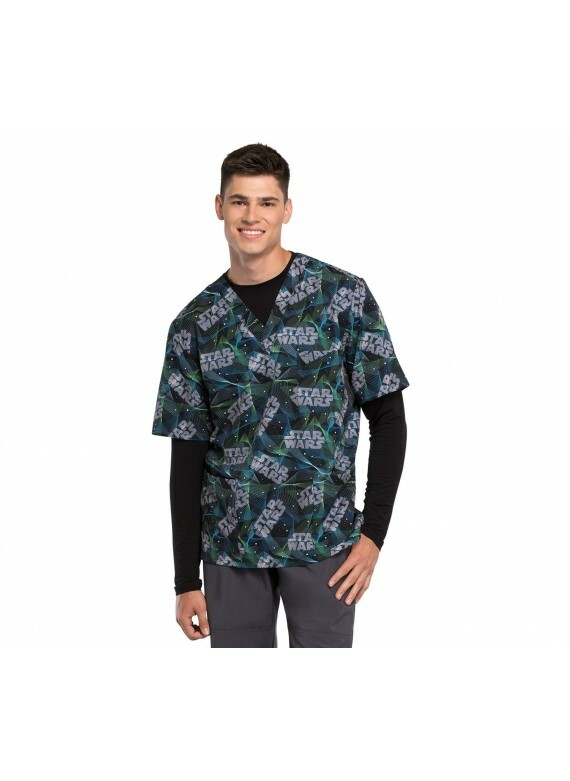 So, whether you're a pediatric nurse working with kids, an OT who works with seniors, or you're just a big fan of Star Wars, if you're a male in the healthcare world, this modern fitting scrub shirt is most likely to suit you just fine.